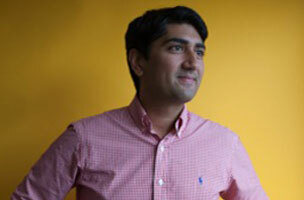 So What Do You Do, Aneesh Raman, Senior Editor and Head of PR and Marketing at OZY? Aneesh Raman’s resume reads like a choose-your-own-adventure tale. He trekked the globe as an international correspondent for CNN and had noteworthy experiences covering such events as the deadly 2004 tsunami in Asia and the Iraq war. In 2008, Barack Obama’s presidential campaign had such a profound effect on Raman that he took a detour to become a speechwriter for the campaign, which lead him on a new path to the Treasury, the Pentagon, and ultimately to the White House. 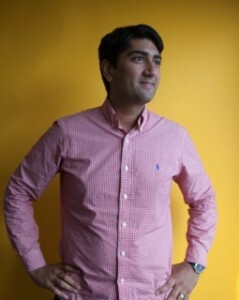 Raman chats with Mediabistro about what makes OZY so special, and shares his thoughts on the current state of digital journalism and what it might look like in 2024. Resume: Started his career at CNN as an assignment editor on the international desk and went on to become an international correspondent for CNN in Southeast Asia and in the Middle East as the network’s first correspondent based there responsible for region-wide coverage, where he was notably the first Western journalist to announce Saddam Hussein’s execution. Began working on Barack Obama’s campaign as a speechwriter in 2008, went on to work as a speechwriter for the Treasury secretary in 2009, then work in strategic communications at the Pentagon, before heading to the White House to work as a presidential speechwriter. Began working at OZY at the beginning of 2014 as a senior editor and his role was expanded to the head of PR and marketing. He’s also a Council on Foreign Relations term member. You’ve had such a diverse career. How did the skills and experiences you gained from each role contribute to the next? The way it all makes sense to me is that in every role I have had to explain complex things simply, whether it was reporting from Iraq as the war unraveled or from Iran as the nuclear dispute grew, whether it was speechwriting at the Treasury or at the White House about the economic situation. No matter the job, it was about taking a really complicated situation, finding the story and explaining it simply to as wide an audience as possible. So, yeah, I think if I thought back to the career path I’ve taken, that’s the one thing that seems to thread it all together.